Are you thinking of replacing your door? Is it not as secure as it once was? If you’re thinking yes, then consider speaking E.M. Snow, Inc to get the job done right for you. With over 50 years of experience, there’s hardly any doors we have not installed before. Once we install your doors, you will instantly see how much of a boost it will bring to your curb appeal and how safe you and your family will feel all year round. E.M. Snow, Inc, offers an extensive variety door options for you to choose from. 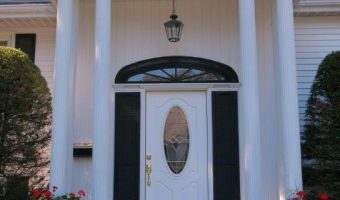 If you are unsure which type of door you want to be installed, not to worry, schedule a free consultation with our design team, and we will provide you a list of the best value and highest quality door options we work with. What sets our manufacturers from its competitors is how customizable the doors can always be to perfectly fit your home with extra security options to keep your family safe. 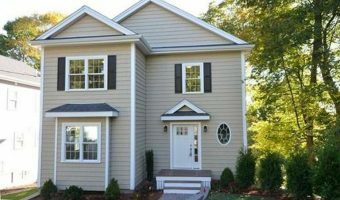 Their premium residential doors are easy to install and brings years of comfort and durability for the homeowner which is why we are proud to have partnered with them decades.